Let’s face it: for fans of the Fantastic Four, Marvel’s First Family, the last few years have been an utter crap-show. Although no one has come out and confirmed anything, it’s widely speculated that a dispute with Fox led to Marvel essentially undermining and eventually mothballing many of the characters that the former held the movie licenses for. Truth? Fan-fiction? I have no idea, but whatever the reason, we saw less and less of the Fantastic Four characters as time went on. The last games to feature any of the First Family were LEGO Marvel Super Heroes and Marvel Heroes, both of which released in 2013. 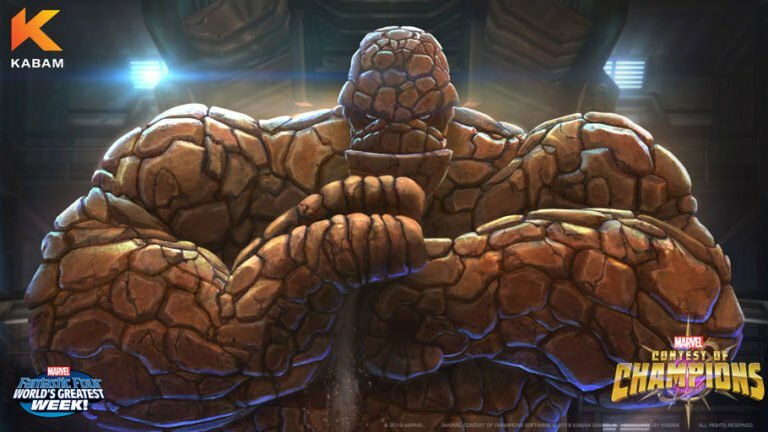 MARVEL Contest of Champions, Free IT’S CLOBBERIN’ TIME! How can there be so darned many Marvel fighting games and the only one to feature Aunt Petunia’s favorite nephew is that revoltin’ Rise of the Imperfects? Well, here’s a little salve for that wound. Benjamin Grimm, the ever-lovin’ blue-eyed Thing, is now part of the Contest of Champions roster. I’d imagine the remaining FF members, along with some of their villains, will trickle in as time goes on. But The Thing is first, and he ought to be. MARVEL Puzzle Quest, Free Log in anytime this month and you’ll get a free three-star Human Torch, and that’s just the start of things. You can nab The Invisible Woman in Crash of the Titan, and The Thing and Mr. Fantastic are both available in the latest Versus Tournament. Both events run until January 13th. The developer has also announced that God Emperor Doom and Namor, the Sub-Mariner will be added at a later date. 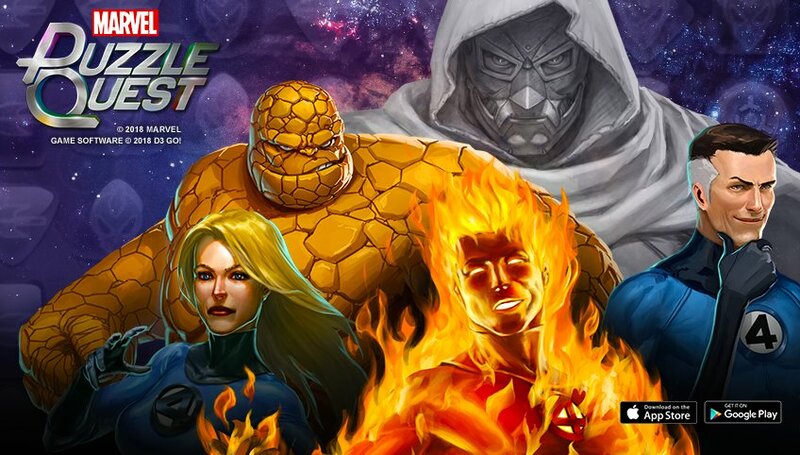 MARVEL Future Fight, Free With its huge roster and multiple costumes, Future Fight is the one game where the absence of the Fantastic Four characters could be most strongly felt. Well, not only are all four members part of the game now, but Doom and Victorious join up as well. On top of that, there are new FF-themed costumes for Crystal, She-Hulk, and Moon Girl. You can get Reed Richards for free just for starting the new Epic Quest that has been added to the game. Oh, and extra props to NetMarble for going with Bearded Reed. Excellent choice. 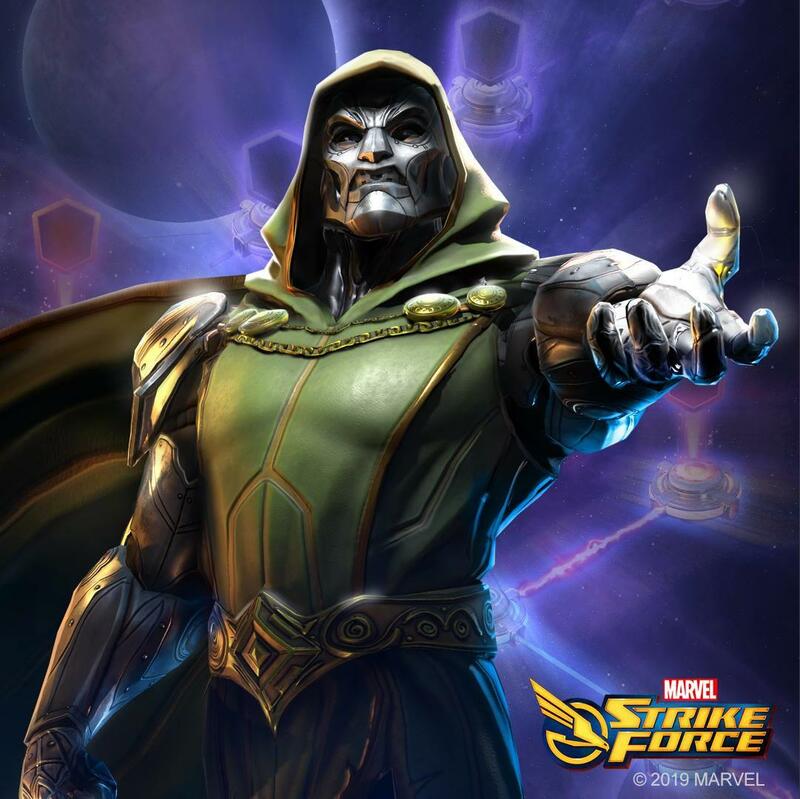 MARVEL Strike Force, Free In this game, Doom will not be your enemy, but your ally. Or at least, that’s his story for the moment. He has had enough of Ultimus and the damage caused to Latveria and decides to help you strike back. With him comes a new higher difficulty of raids, so gear up your best and see what you can do. The actual FF don’t appear to figure into this one yet, but I’m sure we won’t be waiting too long. And that’s the lot. I guess the nice thing about this is that Marvel can have a huge Fantastic Four event across multiple games and give them the proper respect they deserve. I wish it hadn’t been too late for Avengers Academy, though. That would have been pretty great.